I do love a good duvet day but my favourite days, are the ones that get you and the kids outdoors. When indoors, I find myself constantly picking up toys then pens, back to the toys, a lego trail and then the same pens again?! 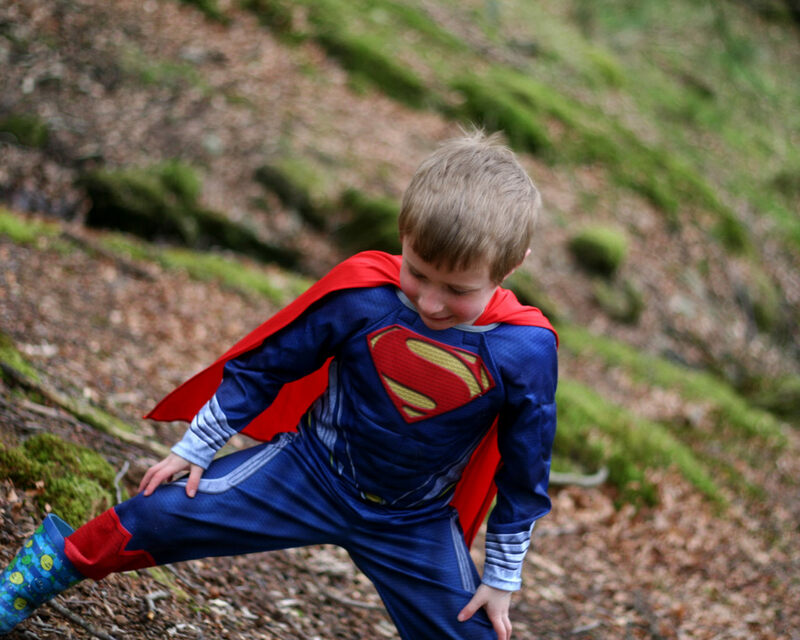 Get your kids to dress as superheroes and stop petty crimes like picking up litter, give them secret missions like finding a red post box and posting a letter to their favourite superhero… The possibilities are endless! The best superhero pictures are the natural ones of them in action. Try and capture the flowing cape and go for some different angles that make them look super! If you don’t mind a bit of dirt (it’s worth it to see their faces…… asleep at bed time because you’ve tired them out 😉 ) then go sand sliding. I went with a good friend of mine, to Formby Pinewoods and we ended up at the beach. This was one of my favourite photographs of the day. It wasn’t planned and I managed to capture the action as it unfolded… look at his little face! 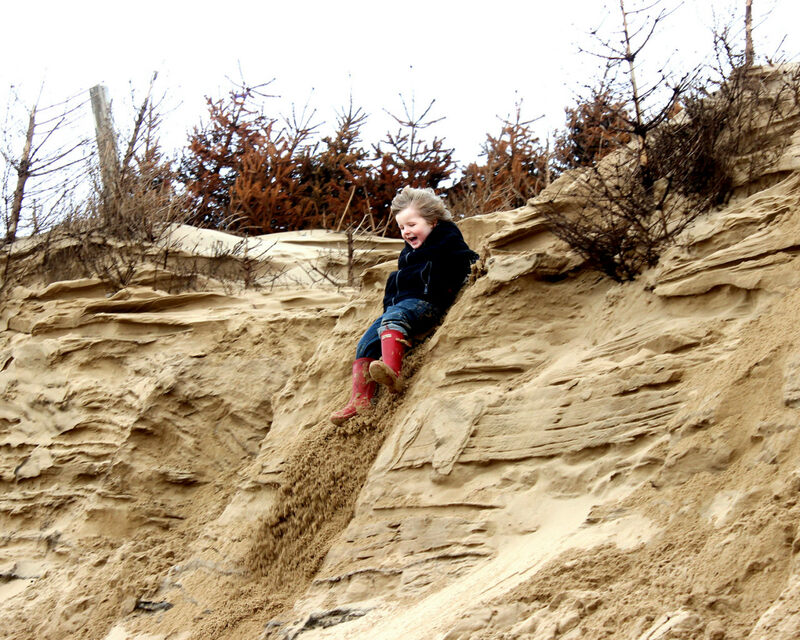 Obviously safety comes first but if you try and capture some action shots instead of them standing on the dunes with cheesy smiles, it tells a much better story, don’t you think? Ok so not the most original idea, but the kids love it! 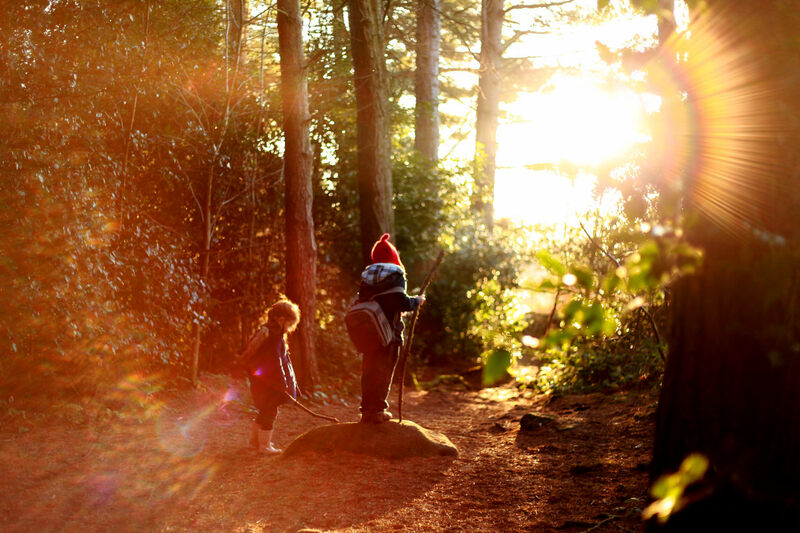 Wrap up warm and pack some yummy goodies… go to the park or local woods and let them run off some steam.. 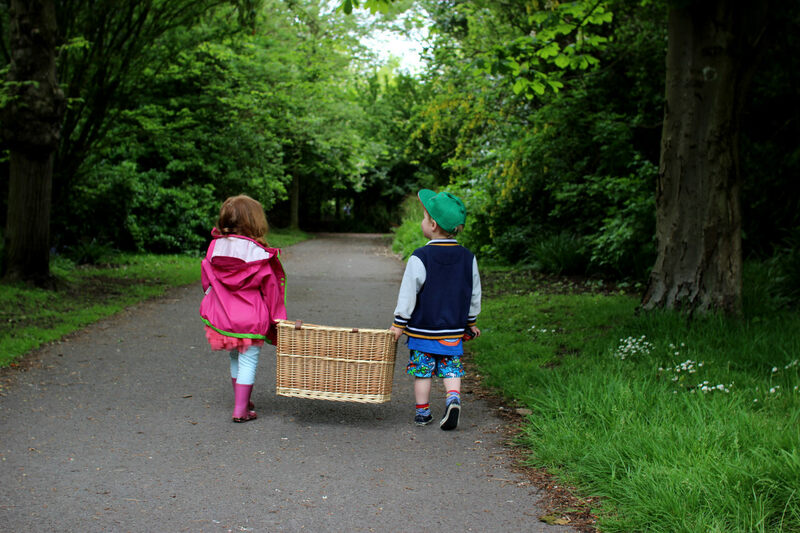 The picnic basket isn’t the most practical but here it makes a great photograph. Capturing images from the back is one of my faves as it gives a new perspective and we can see the road ahead though their little eyes. These two remind me of a little old couple and I would love to know what they were talking about. All kids love riding the train. 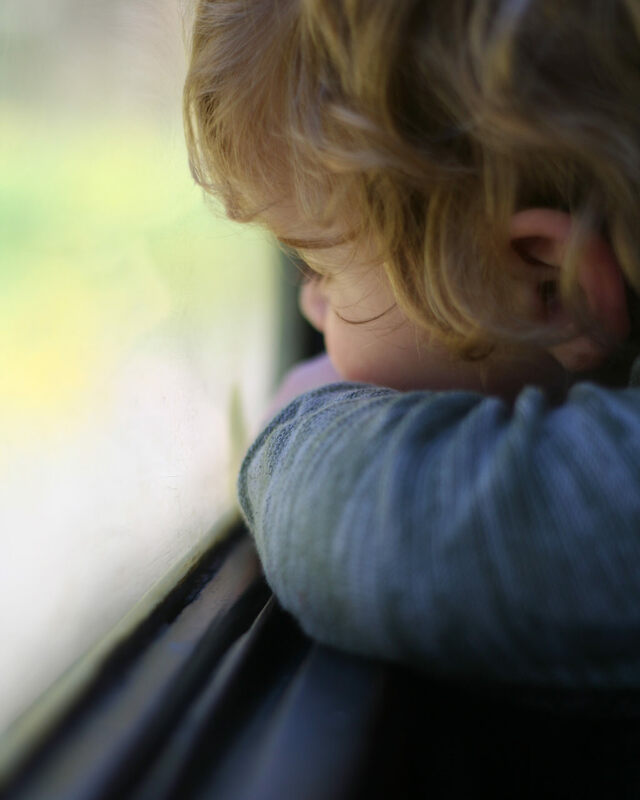 It’s an adventure to them… in our busy lives going to and from school… in the car, “seatbelts on!”, out of the car “seatbelts off”, the train gives us and the kids the freedom to move and watch the world go by. If you buy a daysaver, you can go on a “kidventure” (more about this in the next idea). For capturing some lovely pictures, try and take natural ones of them enjoying the view. If you crop in quite close and fill the frame, you will edit out those crazy patterned seats you usually find on merseyrail, and you are left with a lovely thoughtful image. Now, this is one of our favourite things to do, however, you do need a bit of patience and probably a good few hours (it does tire them out though). A kidventure is basically just letting the kids take the lead and going in whichever direction they choose! They love it because they feel they have the freedom to go wherever they like. We have ended up in some weird and wonderful places, and the great thing is, they got to do exactly what they wanted. Remember to bring some drinks along and some pennies for a lollipop/cake. Take pictures of the simple things they enjoy on their kid venture.. 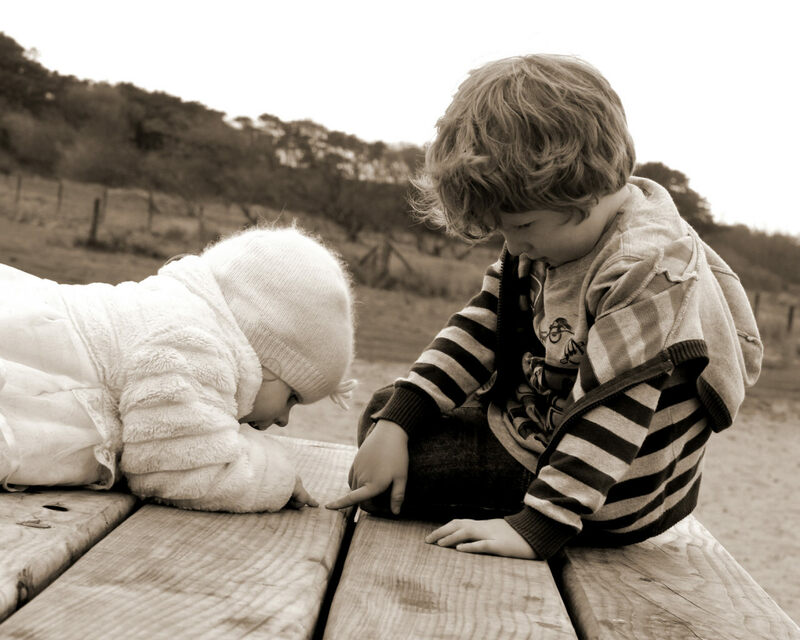 Here they were looking at grains of sand on a table and it makes a very cute picture. Play around with the filters to create the mood. Here I have used a sepia tone, giving a warm glow. Tailor the magic to suit what your kids are into! With the little ones you can look for fairies/elves. Let them find a magic stick they can use as a wand or staff… you can even take it home and decorate it later. Mine are really into Harry Potter at the moment and we spent hours avoiding Voldemort and finding the Philosophers Stone. We hope you find some inspiration from these and we would love to know what you get up to with the kids. Feel free to let us know and even share your lovely pictures on our facebook page. This entry was posted in Helpful Hints, Uncategorised and tagged Baby photography lancashire, Baby photography southport, child photography southport, family photography southport, kids activities, photographers southport, southport photographers. Bookmark the permalink. One Response to 6 ideas for half term and how to get great pictures!